After the shocking events in London and Brighton, Lady Helen and Lord Carlston are now the newly forged Grand Reclaimer, a dyad of formidable power. Yet they do not know how to control this new force between them. Following their only lead, they and their comrades go to Bath, looking for the key to their dyad and for their hidden nemesis: the Grand Deceiver. Helen and Carlston are also struggling to control their illicit feelings for each other as Helen prepares to marry the devoted Duke of Selburn. The wedding is fast approaching and Helen must juggle her imminent life as a Duchess with the dangerous duties of a Grand Reclaimer. When an old enemy arrives in Bath bringing death and deceit, the final confrontation between Grand Reclaimer and Grand Deceiver is set into terrifying motion. Can Helen and Carlston finally unleash their dyad power to save mankind from annihilation? 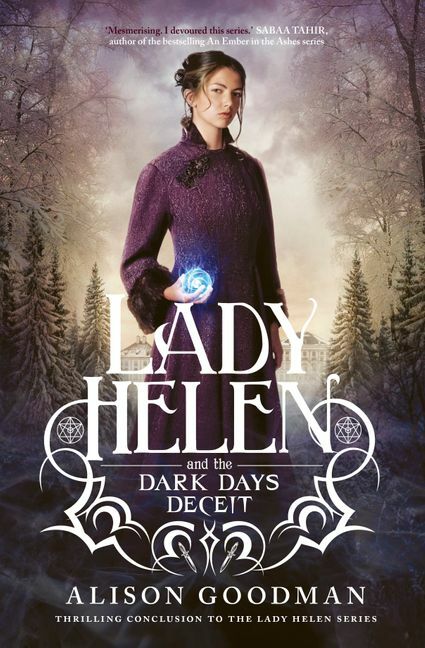 Played out against the glittering background of Regency high society, this thrilling finale to the Lady Helen trilogy hurtles to a shocking conclusion full of passion, betrayal and heartbreak.